Facebook has acquired facial recognition technology company Face.com for an undisclosed amount of money. Such a deal was rumored to be in the works last month for around $100 million, making Face.com the first post-IPO acquisition by the social networking giant. Based in Tel Aviv, Israel, Face.com was created in 2007 and specializes in facial recognition using photos. 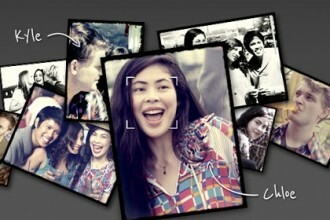 The company’s KLIK app for smartphones allows users to automatically tag their friends in photos uploaded to Facebook. Third-party tracking software AppData reports that KLIK has 40,000 active monthly Facebook users. Face.com claims to be serious when it comes to user privacy as they require customers to feed information before they can use the software to recognize faces. Furthermore, only contacts that are on a person’s friends list can be recognized and tagged. Since Face.com already works closely with Facebook, some feel that the purchase was more of a staff acquisition than anything else. What still remains unclear is how this will affect Yandex, the Moscow-based search engine that purchased an 18.4 percent share of Face.com for $4.3 million in late 2010. They weren’t mentioned in the blog post on Face.com regarding the buyout. Stock in the social networking company is up $1.54 as of writing and nearly $3 since opening trades on Friday. The deal is still pending but is expected to close in the coming weeks.